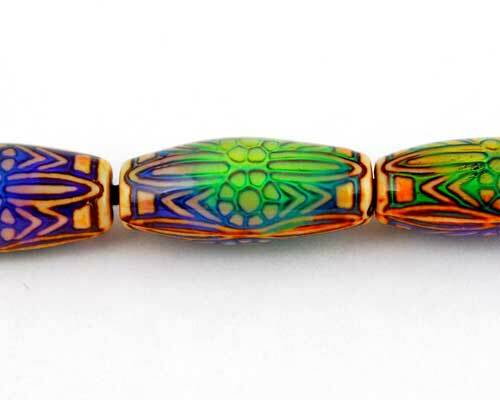 Fancy mirage bead "Daisy Ray"
Polymer mirage bead "Daisy Ray", 24mm long x 10mm oval. Glowing with beautifull colors, watch them change. Also called mood beads.